Our Sailboat Has Been Demasted! Don’t worry. We demasted it on purpose. Several months ago, we scheduled “No Tan Lines” to go to the boatyard, and have the mast removed so we could have the mast step and stringer replaced. After our last sailing trip, we noticed the mast step was cracked and decaying. The mast step supports the mast. If that fails, your mast can fall and that can be catastrophic, structurally and financially. Our first appointment was postponed because a hurricane was barreling our way. The second appointment was also postponed because our motor conked out that morning. Our third appointment was yesterday. The night before, the wind kicked up to more than 20 knots. We knew it was going to be a hairy trip but we did NOT want to postpone again. So, we got up at 5:00 a.m., did the final prep work, donned our all weather gear (it was in the upper 40’s), welcomed 3 of our awesome Dock 4 friends on board (who had volunteered to help), and shoved off. Capt. Brian Whiddon (who is also the Managing Editor at WritersWeekly and the Operations Manager at BookLocker) immediately noticed a problem with the left bow thruster. It was shorting out. Despite that, and despite the strong northeast wind, he got us out of the slip with no problems at all. Once we got into Tamp Bay, we braced ourselves. There were breaking waves in the bay so it was quite an exciting ride! It only took about half an hour to get to Salt Creek, which is protected from the rough water. However, it was still windy and getting the boat through a narrow channel in gale was another adventure. Brian got us into the narrow slip at the boat yard with no problems once again, even though we had to veer left to get in there. The yacht riggers immediately got to work removing all of the rigging that supports the mast. The crane arrived so they hooked it up to the mast, and got to work jiggling it back and forth until it literally “popped” out of its support. In THIS VIDEO, you can see the mast popping from the interior of the boat. In THIS VIDEO, you can see what the riggers did on the outside to break it from from its support. Not very technical but extremely effective, and even a bit humorous! They then pulled it through the deck, got it on land, and laid it on a large, big-wheeled cart. And, we were then cleared to leave. Brian backed us out of the slip, and steered far left (still going backwards) to avoid running aground on the other side of the creek. He was then able to use the right bow thruster to get us centered in the creek (think a creative, backwards three-point turn) and off we went, back to the marina. The wind was blowing even harder now and, without the added weight of the mast, the boat was pitching to and fro quite violently in the breakers. It was a blast!!!! I only had to get up a few times to investigate crashing sounds down inside the boat. Mason’s closet flew open and his Nerf guns fell out. Max’s Xbox flew off his shelf (oops – I forgot to secure that). The kitchen lamp flew to the floor (my fault on that one, too). The good news is I DID remember to lay down the TV in the salon. We got back to the basin outside our marina, and prepared for the possibility of a piling collision because we had to turn left into our slip. Two other awesome neighbors I’d texted about our impending arrival, Rhonda and Kelly, were standing by on the dock with boat hooks. Brian steered us into the slip, picture perfect once again. No collisions at all! Everyone on board had been assigned lines to secure and, within just a few minutes, we were safely docked once again. The wind continued to blow all afternoon and, without the weight of the mast, Tanny has been pitching wildly all afternoon and evening. During Our First Real Sailing Trip This Week, We Started Taking on Water! Will “No Tan Lines” Tip Over?! 12 Responses to "Our Sailboat Has Been Demasted!" I really enjoyed your article! Fun reading about your adventures. But I’m also dismayed… at myself. I have just realized that your name is, ahem, “AHoy”. OMG I’m losing it. I love how you take all of this in stride. It seems each week it’s a new adventure. I loved the videos. I had no idea how big that mast is and how it’s all connected. Very interesting. 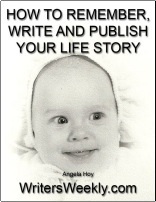 Angela, Can I share your stories and pics with my friends at Houston Yacht Club? Your old stomping grounds in Shore Acres? I think my sailor friends would find your “adventures” very interesting!!! That is one tall mast. I recall only one docked along Seattle’s Montlake Cut that was that tall. And a sailboat where you can stand up inside? That must be marvelous. When I owned a San Juan 21, the interior was crouch-down-only. I bet you even have a shower with running hot water. That’s the way to travel. Mine was more like camping.